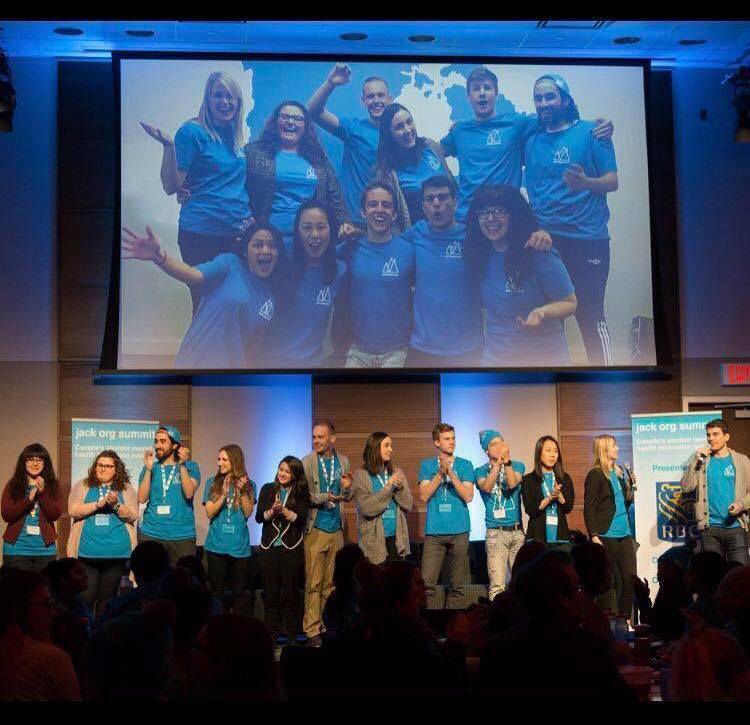 Concordia student Alexis Lahorra participated as a student representative at the Jack.org summit last weekend in Toronto. The summit, organized by Jack.org, brought together more than 200 students leaders from across Canada to come up with ways to cope with mental health. Nearly all of the students who attended were members of Jack.org, a national network where students discuss mental health. “We gathered all these students who are involved with mental health initiatives in Toronto for three days to learn skills and competences that they can use within their own community,” said Lahorra, who leads Jack.org’s Concordia chapter. She was one of 12 students who helped barnstorm, plan, and execute the even. Alexis Lahorra, a Concordia student, who helped organizing the summit. Over the weekend, students learned about different skills related to coping with and improving mental health, and how to manage their own student groups and Jack.org chapters. Participants were also able to exchange new strategies of coping with mental health and learn from each other. “Imagine meeting 199 new friends and inspiring one another. It was really cool to gather this weekend,” Lahorra said. Lahorra, a communication studies student, was also there to share her story with mental health on stage in front of the other student leaders. During the event, she also spoke with Radio-Canada, CBC’s French media, about the work she does within Concordia University and about her own experiences with mental health. “When I published the [interview] video on my social media, I received personal messages from people saying, ‘thank you for sharing your story and showing that it’s fine to not be okay all the time,’” she said. Jack.org Concordia’s next event is an expression night on Thursday, March 31 at Reggies Bar, where students will be able to share their personal stories related to mental health in front of an audience.